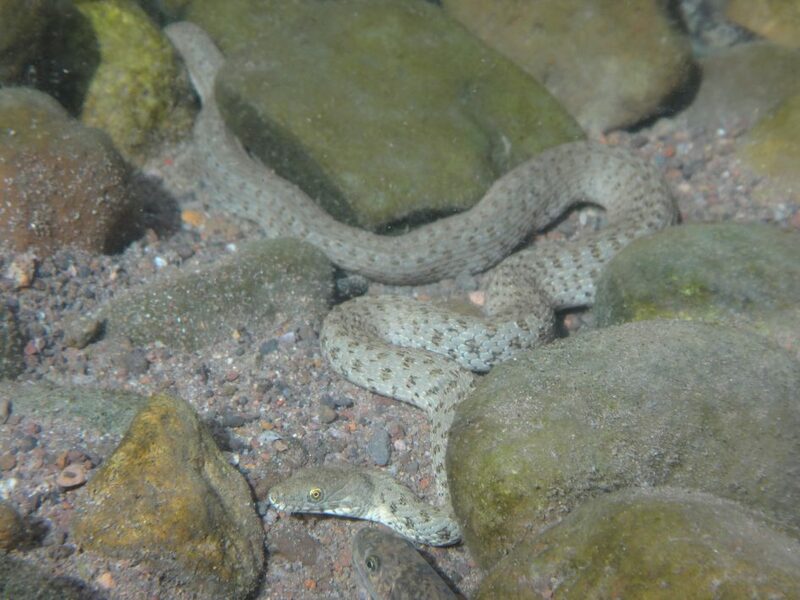 Narrowheaded Gartersnake and Desert Sucker underwater in the Blue River. 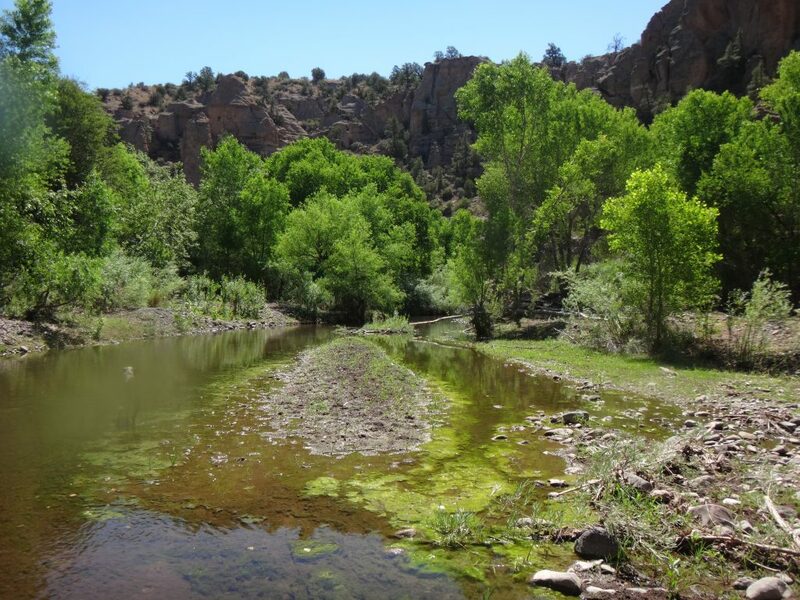 In June of this year, Arizona Game and Fish Department biologists backpacked into a remote section of the Blue River in Eastern Arizona to evaluate habitat, native fish abundance, and search for Narrow-headed Gartersnakes. The trip was full of surprises. First we learned that these sections of the Blue River, which were previously considered perennial, are actually intermittent prior to the monsoons with the river running dry for over a mile in places. The second surprise was finding four Narrow-headed Gartersnakes. The snakes were using both the perennial sections and intermittent pools to target stranded concentrations of fish. 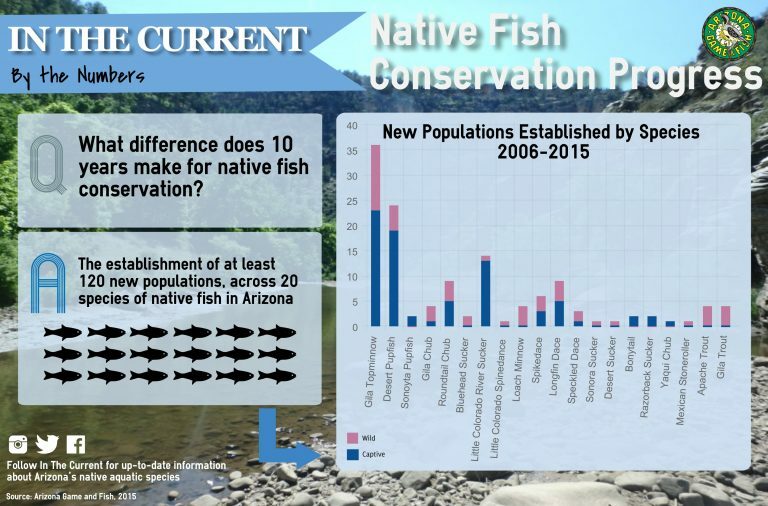 These observations confirm the species is persisting within this stretch of the Blue River, but also increases our understanding of the species’ ecology which will help in recovery efforts. Habitat occupied by Narrow-headed Gartersnakes in the Blue River.